Want to wine and dine your way into 2018? Contentious Character has got you covered. Photo: Jack Mohr. With a respectful nod to its Lambert Vineyard heritage, Contentious Character Winery recently celebrated its first birthday. A visit to this Instagrammer’s heaven has you quickly realising what sets this winery apart from its counterparts – soul. The love that the four ‘contentious character’ founders have for this bespoke winery is apparent everywhere – from the artisan produce to the opportunity for visitors to taste and experience collectors’ wines dating back decades. The owners are far more interested in starting a hearty conversation about wine than the sophistication of your palate. With this happy marriage of food and wine, Contentious Character has already inherited a reputation for hosting memorable events. The 2018 event calendar kicks off with a bang with their New Year’s Eve festivities on 31st December 2017. Catering to foodies and families alike, this is the perfect yet civilised way to see in 2018. The winery will be open from 5 pm to midnight New Year’s Eve, and will be serving scrumptious hampers for picnicking on the lawn or deck, followed by a cheese and dessert selection, with laid-back Outlaw Country Blues by the Guitar Cases Duo, Canberra’s hardest working original musos, easing our way into the new year. When the sun goes down, the night revs up with a switch to upbeat dancing tunes – think Redgum meets Johnny Cash, JJ Cale, Howlin Wolf and T-Bone Walker! Come anytime after 5 pm that suits your family or friends, with tickets $85 for adults and $25 for kids or $200 for a family of four. There will be a cash bar for the infamous Contentious Character wines as well as beers and Sangria. Tickets for adults are available here, while family tickets are available here and children’s tickets available here. 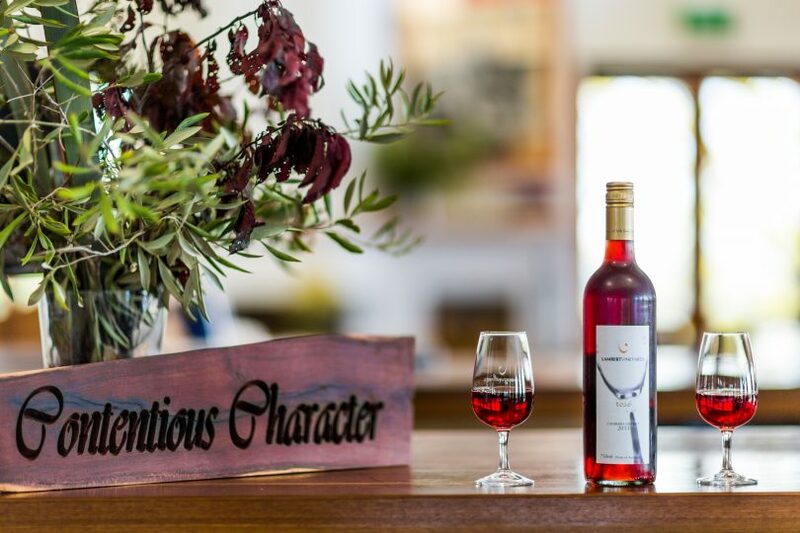 With further events planned into 2018 such as ‘Jazz & Blues in the Vines’ in February and ‘Canberra Wine Week’ in April, Contentious Character is likely to establish roots into the future as deep as its Lambert forefathers. For further information visit www.contentiouscharacter.com.au.